This stuff is really good, too. Sonia is a huge fan of it. I'm only in the mood for it once in a while. Don't let that dark red color fool you; the taste of this beverage is very subtle. It's not quite as sweet as I would like it to be. Sonia's palate is a bit more refined than mine, and she is a big fan of green tea, so she absolutely loves it. This is another staple beverage at our house, but Sonia drinks it far more often than I do. If you like the taste of iced green tea, with just a hint of pomegranate tang, then this will be perfect for you. 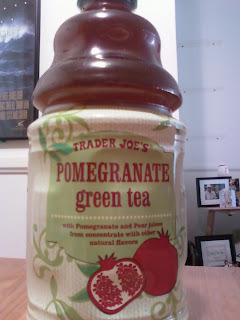 If you're like me, and you like your sodas and juices kind of syrupy and sweet, then stick to the pomegranate limeade. 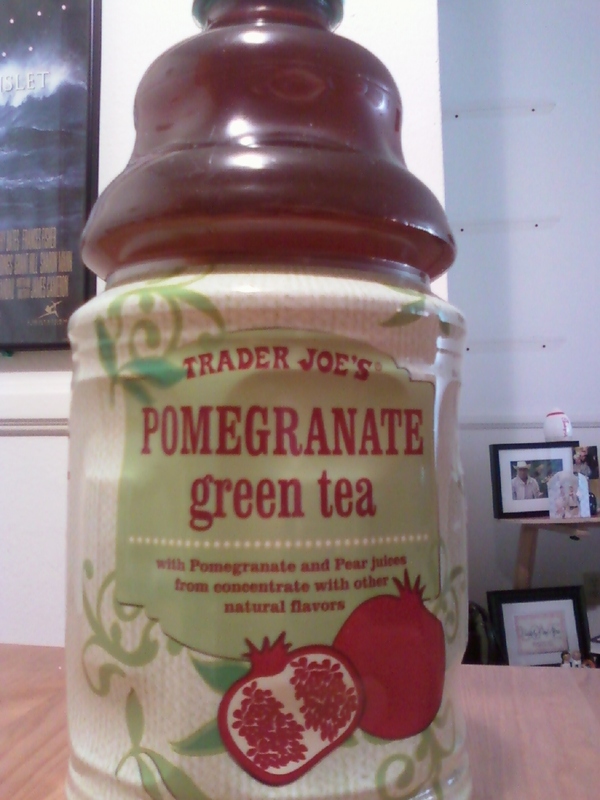 Trader Joe's Pomegranate Green Tea is an "adult" beverage. A bottle will run you $2.99. Three and a half Stars out of Five from Nathan...Five out of Five Stars from Sonia. Bottom line: 8.5 out of 10.